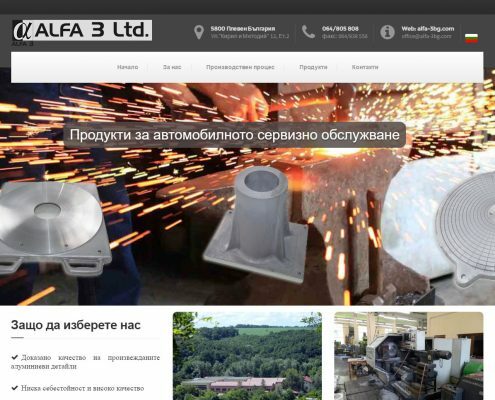 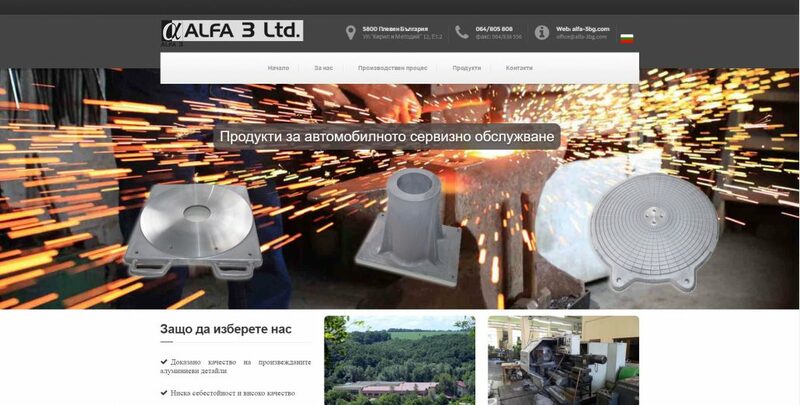 Alfa 3 Ltd | Moven Soft - Web design, SEO optimization. 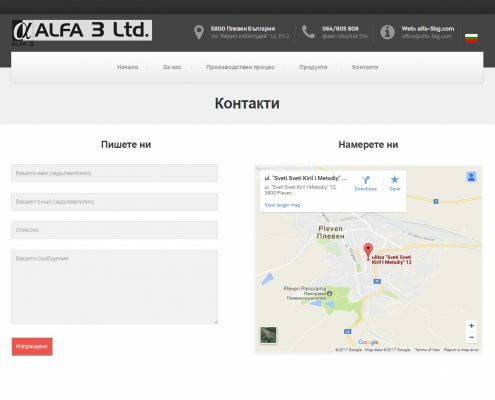 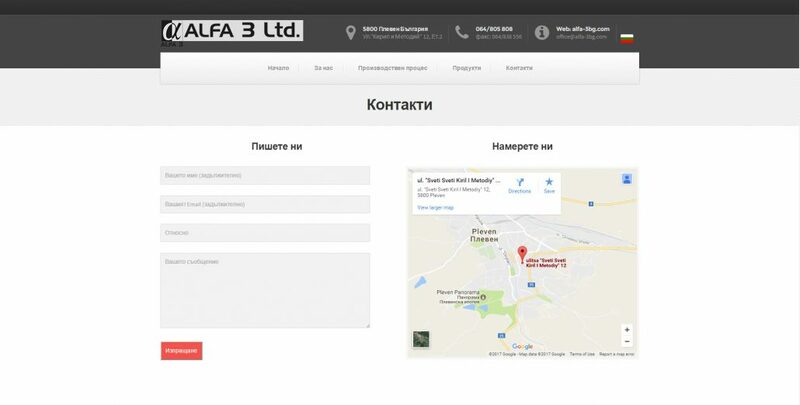 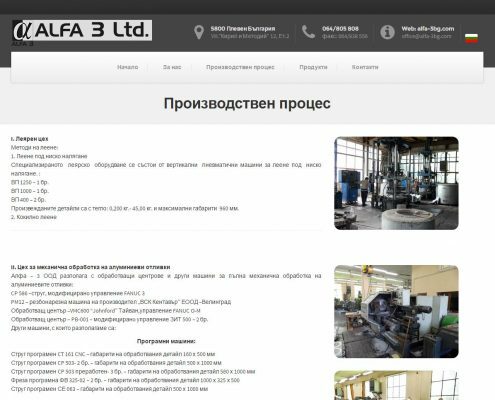 Alpha-3 Ltd – Pleven was found in 1994 and is a private company. 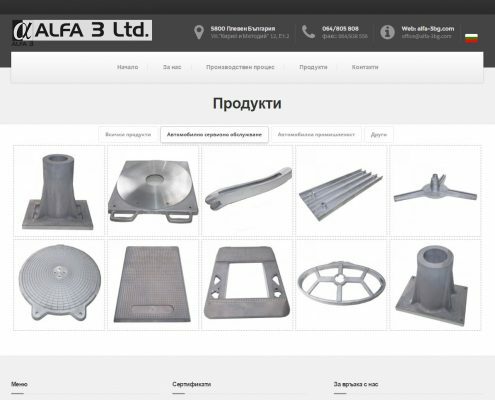 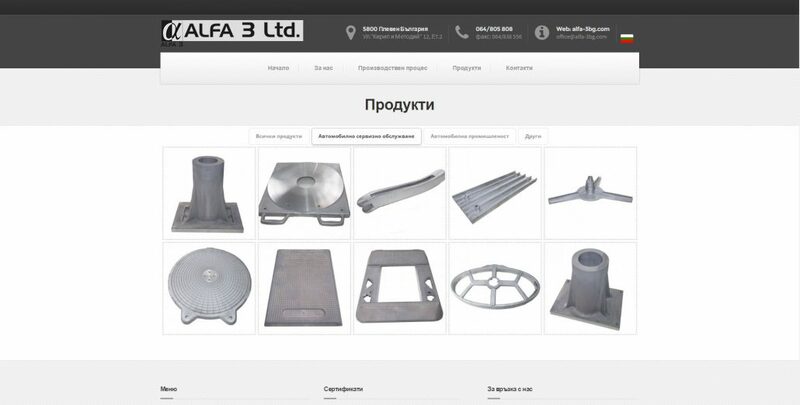 The main business is manufacturing a wide range of aluminum castings. 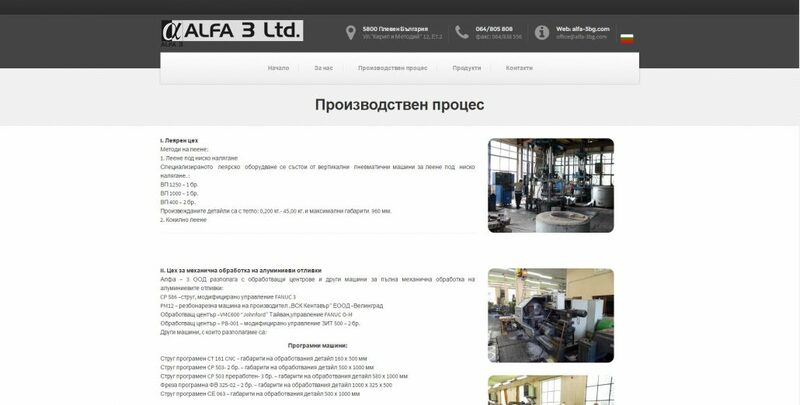 The low cost and high quality ensure opportunity “Alpha 3” to be competitive in the European market.